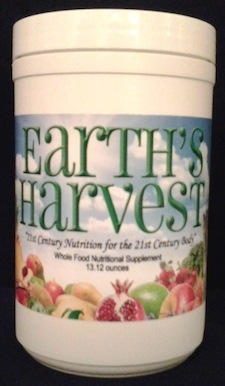 We are no longer able to gain access to Earth's Harvest and so we are replacing it with Greens Balance. Mom always said to eat your veggies. Greens Balance features a spectrum of proprietary color blends of whole fruit and vegetable powders – delivering antioxidants, phytonutrients and fiber you need to have a more balanced healthier diet every day. Fruits, vegetables, and legumes are sources of phytonutrients, or nutrients that come from plants. These nutrients include carotenoids like alpha- and beta-carotene in yellow fruits and vegetables, anthocyanidins in blues, lycopene in reds and sulforaphane in cruciferous vegetables like kale and broccoli. Contains chlorophyll, which supports gastrointestinal health and cleansing. Vegetables like brussel sprouts and spinach contain glucosinolates. Glucosinolates are enzymatically converted in the body to produce isothiocyanates, which are a focus of research for their ability t support health and well-being. Alfalfa, barley grass and wheat grass can contain enzymes as well as vitamins A, K and E.
Reds like tomato supply the antioxidant carotenoid, lycopene. Red fruits are sources of antioxidants, flavonoids and polyphenols. Reds like pomegranate contain ellagic acid and punicalagin to support better health. Yellows are a source of carotenoids like alpha- and beta-carotene and zeaxanthan. Yellow fruits and vegetables are a source of vitamins A and C, and antioxidant bioflavonoids. Blue fruits and berries are sources of antioxidants and called anthocyanidins. Blue fruits like grape contain resveratrol and vitamin C.
Blue fruits can also contain antioxidants like quercetin and flavonoids. You may also mail your check or money order with our Printable order form. *Disclaimer: These statements or testimonials are not intended to make claims that these products can be used to diagnose, treat, cure, mitigate or prevent any disease. These claims have not been clinically proven or evaluated by the FDA.